Our resources section features links and other information on a variety of topics including child care, just for fun, and preschools. Please note that we do not monitor or endorse the links provided on these pages. Please let us know if you find a broken one or have a suggestion for an addition. As fellow parents, we understand how necessary it is to be aware of what is offered in the community to not only our children, but the entire family! We are excited to announce that FOL will be offering the FOL Afterschool program again this Fall. Starting August 20, 2018 FOL Afterschool will be on the Lakewood Campus! Full-time and part-time care is available in the Lakewood area at a variety of centers. Whether you're looking for Mother's-Day-out, Pre-K, or after school care, there are a range of choices. 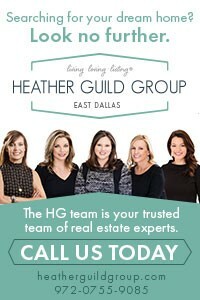 A variety of school and community sites of interest in East Dallas and other neighboring areas are provided, in addition to other PTA organizations, to help navigate what you are looking for. The sites that offer "Free" services can be found on this page. Depending on what you're looking for, these valuable finds suggest activities you can share with your whole family!